The topic of Industry 4.0 once again will be a main focus of the exhibition. In the age of digital transformation, IT and automation are increasingly merging and this will be reflected at this year’s event as never before. Our trade fair presence focuses on solutions around the Industrial Automation, IoT,and IIoT, the Industrial Internet of Things. The highlights at the booth include our complete portfolio: connectors, cables, I/O modules, Splitters, Harness and expert service & support. New Launching – M12 X- and D- coded Connectors and M12 T-Splitters. 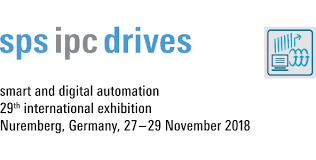 If you would like to learn more about Katlax and our innovative products, visit us at SPS IPC Drives 2018 at our booth: hall 10.1, booth 146.